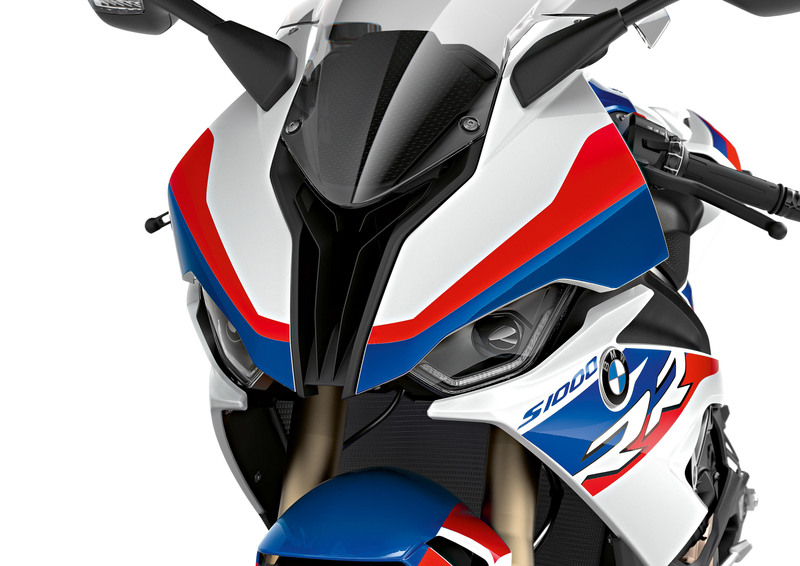 The 2019 BMW S1000RR receives all new, more aerodynamic bodywork and a symmetrical front face. The side panels are mostly symmetric, but for some slight differences including a much more subtle version of the previous model’s gill-shaped openings on the right side. 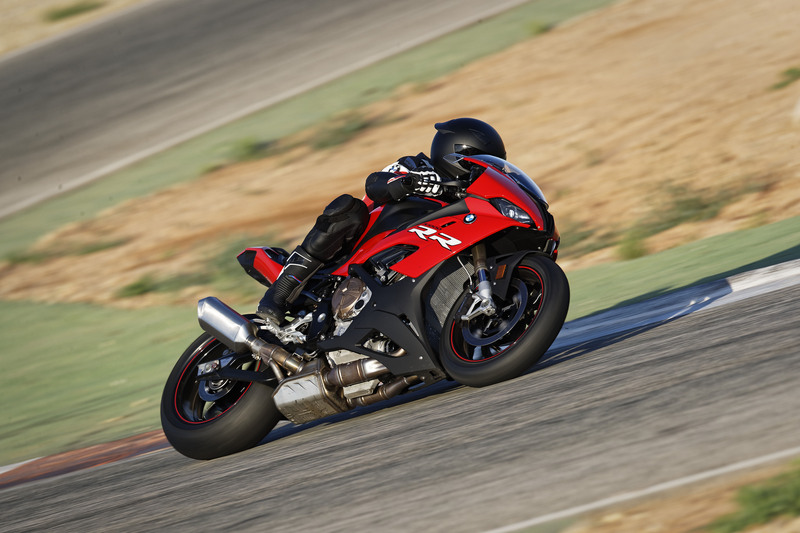 The S1000RR receives a brand new engine, now with the company’s ShiftCam variable valve timing technology. 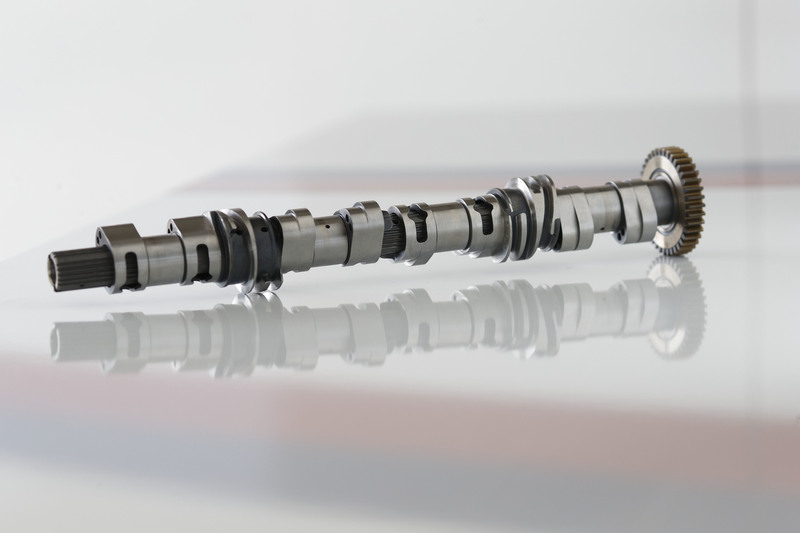 The system uses a triple-section intake shift camshaft with a partial-load and full-load cam for each intake valve. The result is increased torque at low and medium revs while still keeping the high horsepower performance at faster engine speeds that the S1000RR is known for. 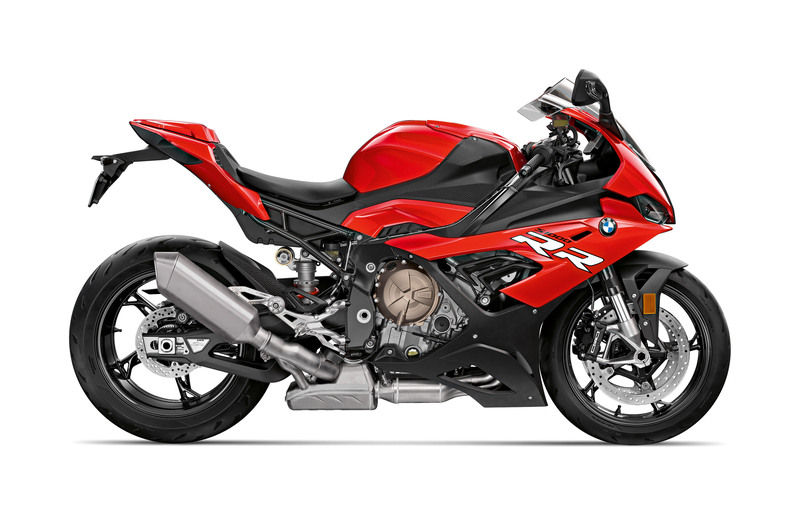 According to BMW, the 2019 S1000RR now gets 205 hp at 13000 rpm (207 hp at 13500 rpm for models in other markets), a 6 hp increase over its predecessor. Maximum torque is 83 lb-ft. at 11000 rpm, but with more midrange pull while smoothing out the wheelie-inducing sharp rise in torque that afflicted the previous model. The ShiftCam technology wasn’t the only change to the engine. BMW added new rocker arms that it claims weigh 25% less than previously, as well as new hollow-bore titanium intake valves. The result is an 400 rpm increase to the top engine speed, now redlining at 14600 rpm. Further weight savings come from removing the idler gear, with the camshafts are now directly powered by the crankshaft. The intermediate gear that halves the engine speed has been relocated inside the cylinder head. BMW also combined the oil and water pumps. 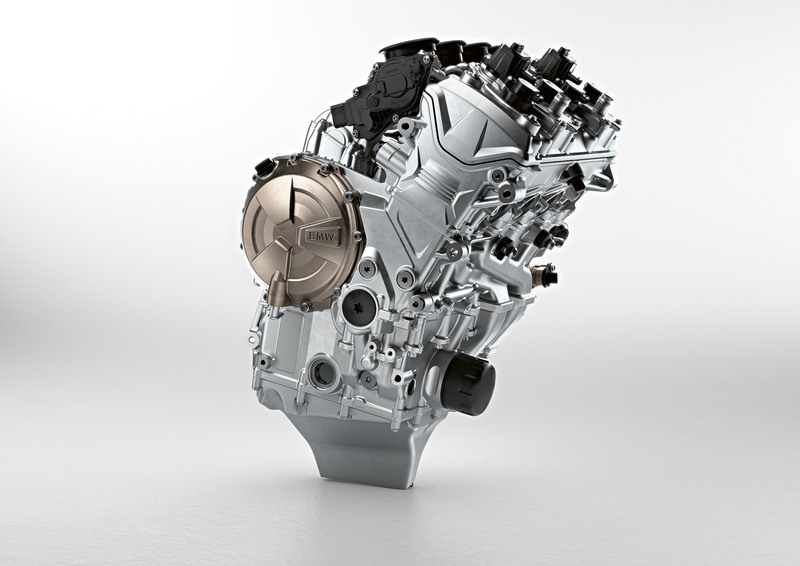 The result is a more compact engine. Overall, BMW says the new engine weighs about 8.8 pounds lighter than its predecessor, and that’s factoring the addition of the ShiftCam technology which adds 2.2 pounds. The new engine is paired with a new exhaust system with two three-way catalytic converters, with BMW claiming better mid-range torque while shaving 3 pounds of weight. The S1000RR also comes standard with BMW’s Shift Assistant Pro for clutchless up and down shifts. Also standard are four ride modes: Rain, Road, Dynamic and Race, with three additional Race Pro modes available as a separate add-on. Dynamic traction control also comes standard, making use of a six-axis IMU. Other electronic aids include hill start control, launch control and a pit lane speed limiter for racing applications. The S1000RR receives a new, lighter aluminum frame that allows the engine to be more of a load-bearing element. BMW also adjusted the suspension geometry, making the steering head angle slightly steeper and increasing the wheelbase by 0.4 inches to 56.7 inches. 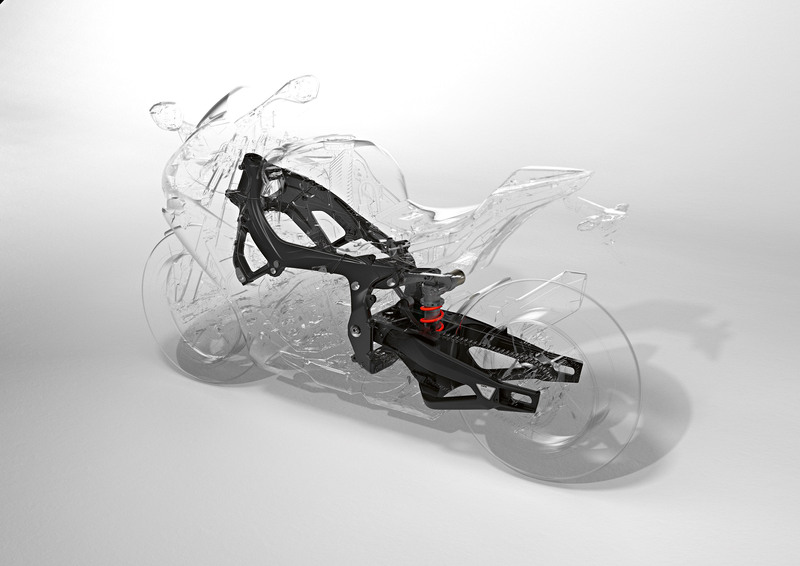 Up front, the S1000RR uses a adjustable 45mm closed-cartridge inverted fork while the fully-adjustable rear shock is now connected to a lighter underslung swingarm. A dynamic damping control system is available as an add-on. The 17-inch alloy wheels are said to weigh 3.5 pounds less than the previous rims, but for further weight savings, BMW offers forged wheels and carbon fiber wheels as optional equipment. The front wheel is mated to dual 320mm discs with radially-mounted four-piston calipers. The rear uses a single-piston caliper with a 220mm rotor. Cornering ABS is standard. Other updates include a new 6.5-inch TFT screen, and full LED lighting including new turn signals integrated into the mirrors. 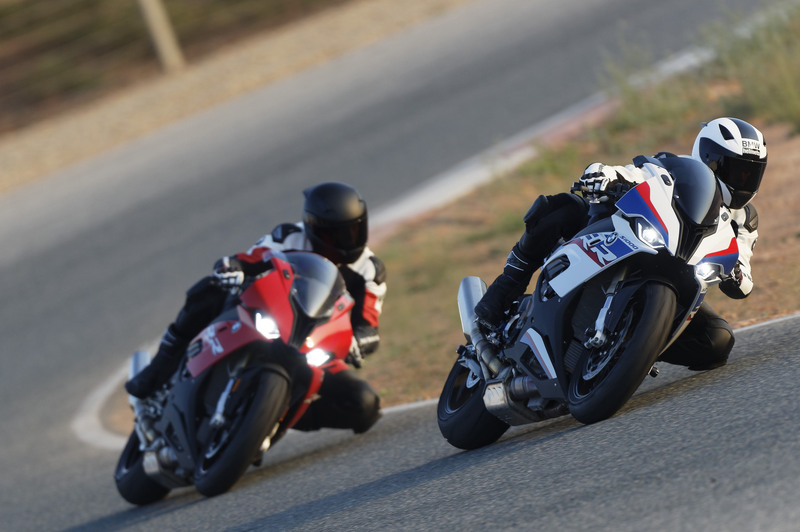 The 2019 BMW S1000RR will be offered in two colors: Racing Red and the BMW Motorsport combination of Racing Blue, Lightwhite and Racing Red.